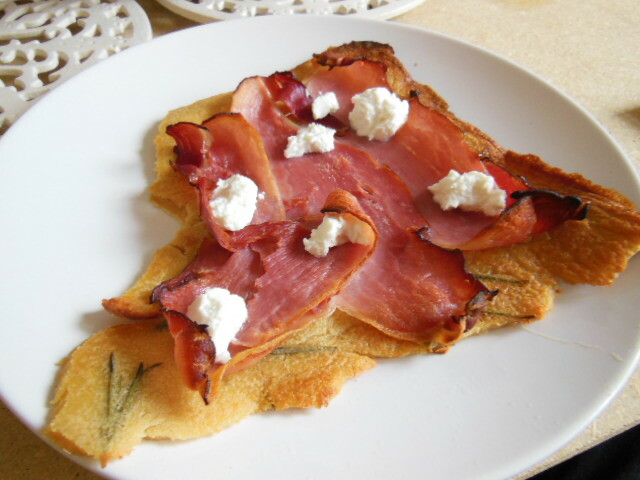 This cheap and simple to make flatbread is yeast and wheat free. It is adapted from Maggie Beer’s brilliant book ‘Maggie’s Harvest.’ We were given this book for Christmas and it’s one of the only cookbooks that we’ve unpacked in the process of moving house. It’s a massive door stop of a book with hundreds of recipes from this cook who is a household name in Australia but little known here. Whisk the flour and water together in a large bowl or jug until smooth and creamy. 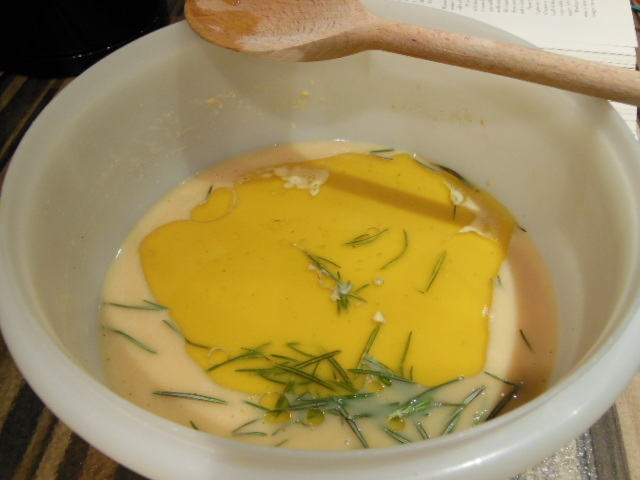 Wash two sprigs of rosemary and dunk into the mixture. Leave covered overnight to infuse. Next morning, fish out the rosemary, add the oil, salt, chilli flakes and the leaves of the remaining rosemary and stir well. If you were in a real rush you could skip the leaving overnight bit and just add all the ingredients together (only using the leaves of 2 sprigs of rosemary) and go straight to the cooking stage. 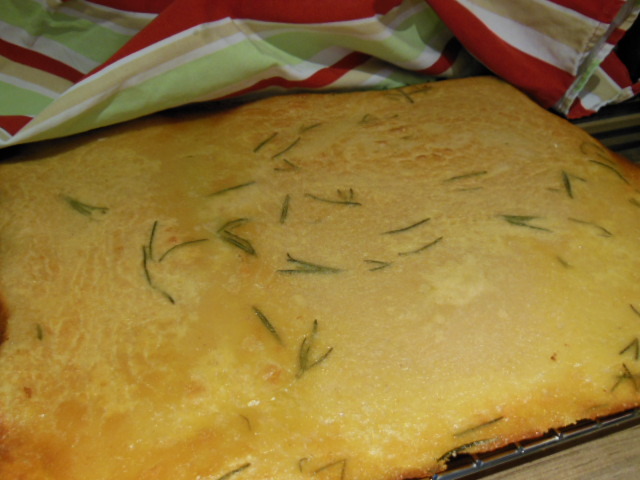 Pour the runny batter onto a baking tray. Bake for 10-15 mins at 230C 450F / Gas Mark 8. It comes out like a big thin pizza base. it was delicious warm and would work well served with soups. Also we turned it into pizza by adding a topping of parma ham and goats cheese which was amazing with the rosemary flavours, served straight from the grill. 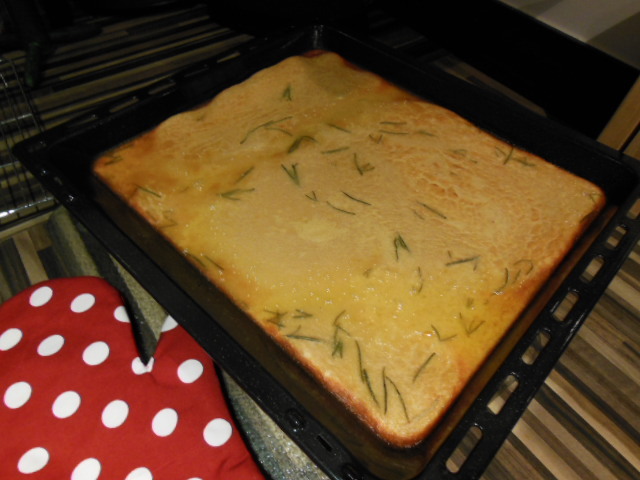 This entry was posted in Recipes and tagged Australia, Bake, Chickpea, flatbread, flatbread pizza, gram flour, Maggie Beer, Rosemary. Bookmark the permalink. amazing post you got here, thanks a ton for sharing it!